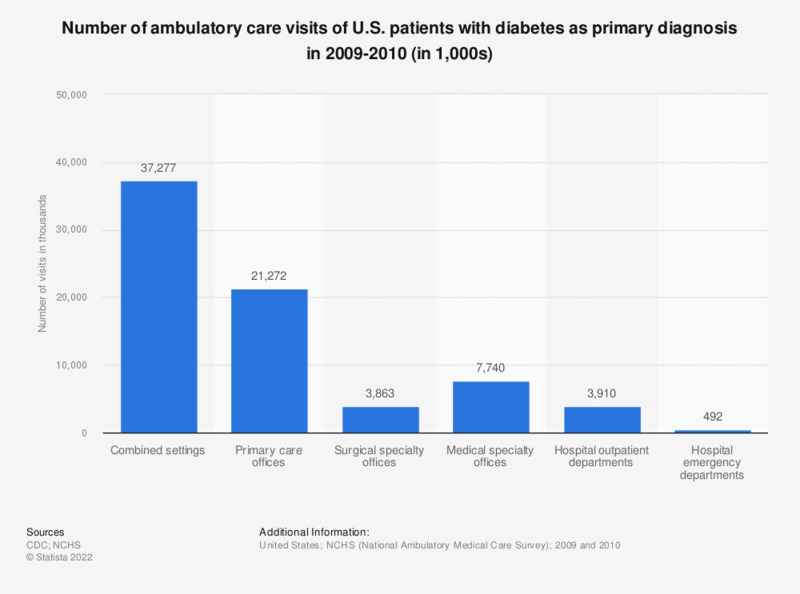 This statistic shows the number of ambulatory care visits of patients with diabetes as primary diagnoses in the U.S. in 2009-2010. As of that period, there were some 37.3 million visits of patients with diabetes as primary diagnosis. * Number of visits (to physician offices, hospital outpatient and emergency departments) with diabetes as primary diagnosis.